President Trump will announce on Wednesday that the U.S. will recognize Jerusalem as the capital of Israel, senior administration officials said. He'll also direct the State Department to begin the process of moving the embassy from Tel Aviv to Jerusalem. The recognition will fulfill a major campaign promise, officials said. Though Mr. Trump is announcing his intent to move the embassy, Mr. Trump will still sign the current waiver which puts off formally moving the embassy. He's taking the action of signing the waiver, senior administration officials said Tuesday night, in order to avoid significant funding cuts. And he will continue to sign waivers until the new embassy is open. The officials said it was a practical impossibility to move the embassy immediately and suggested it would take some time to find a site. "The president will reiterate how committed he is to peace," a senior administration official said. "While we understand how some parties might react, we are still working on our plan which is not yet ready. We have time to get it right and see how people feel after this news is processed over the next period of time." The process of moving the embassy will take a number of years, according to officials, saying that "it's not instantaneous. One official said that in his experience, no embassy is constructed in shorter than three to four years, adding that this would be the case here as well. But he added that once an embassy starts being built, "the course is set" and it moves through to completion. Officials also argued that the location of the embassy would not matter in peace process negotiations. "It seems clear now that the physical location of the American embassy is not material to a peace deal -- it's just not—it's not an impediment to peace fundamentally and it's not a facilitator of peace," one official said. "So, after having tried this for 22 years, an acknowledgement of reality seems like an important change." Officials said Secretary Tillerson's entire team had been consulted on this decision -- officials characterized it as "collaborative." But there are fears in Jerusalem about violence after the decision. 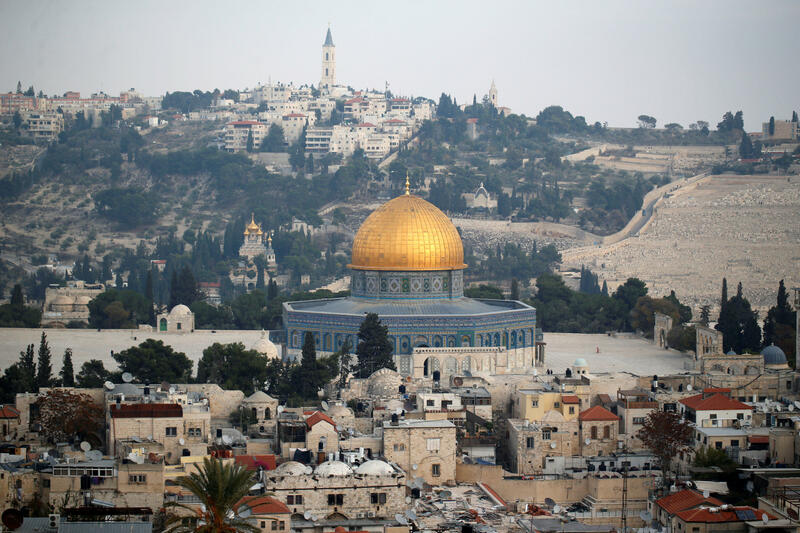 Two Palestinian groups have called for protests and the U.S. government is warning its employees to stay away from parts of Jerusalem for fear of violence. In Washington, the Palestine Liberation Organization announced Tuesday night they had canceled their annual holiday party, scheduled for Wednesday. CBS News' Jillian Hughes, Major Garrett and Margaret Brennan contributed to this report.